If our goal in 2017 is attracting more fanciers to the dog fancy we MUST take a serious look at the reasons for loss of interest in purebred dogs. 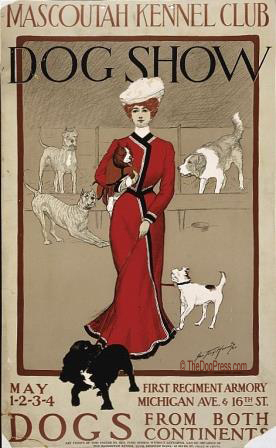 The first nail in the coffin of the dog fancy was when the AKC as an organization, decided that it was ethical to breed and sell puppies for resale (i.e. 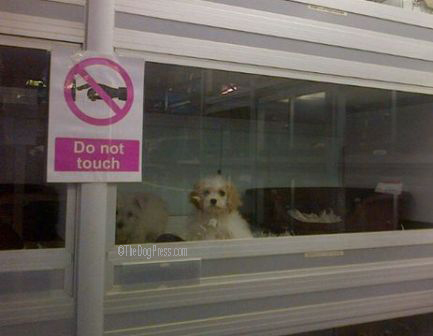 to pet shops and dog brokers). Apparently the new board didn’t even address what we all feel-that ethical breeders who love their dogs don't do that. “Responsible” breeders always want to meet the buyer, i.e. screen them. When this dynamic of middle class people getting involved in the fancy began, the Viet Nam War ended and we were going through hyper-inflation, which started during the Nixon years and was dramatic during the Carter years. Reagan calmed it down with trickle-down economics, which was the start of the demise of the middle class----our target market. Thus the 1970s were the heyday of dog shows as most of us remember them. Many people could afford a house with a basement and a yard. This is no longer true of most middle class home owners. The demise of the purebred dog began with the crash of 2000, the perfect storm of the housing bubble and pseudo-scientific idea that you only get the best when you breed two different breeds together (enter the doodles). Hobby breeders were also affected by the economy, thus not as many Poodles or Goldens were available from ethical hobby breeders, i.e. the dog fancy. I groom dogs for a living, and when I ask people how they decided on a mixed breed rather than a purebred, the responses are always hybrid vigor, best of both, and they didn't want a show dog. Sometimes they knew someone who had a sickly dog which happened to be purebred, or that a purebred dog bit a child. So many illogical explanations. How do we change this dynamic of “mixed breeds are (smarter, healthier, fill in the blank)? We can't be afraid to say we are purebred dog fanciers. 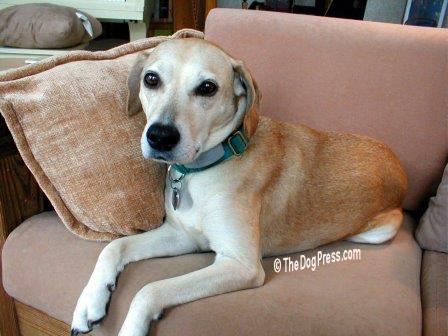 We have to let people know that most dogs in shelters are mixed breeds. That ethical hobby breeders meet their buyers and have them sign a contract that the dog comes back to them if, for any reason, they can't keep it... Those “purebred” dogs in shelters all came from BAD BREEDERS and the owner of the mommy dog---the dam---is the breeder---whether they have 1 dog or 1,000. They are not part of the purebred dog fancy. We can change the image of purebred dogs on social media. We can do this at the vet's office, at the dog park, at training classes, any time we are out with our dogs. But we have to do something else: we have to encourage and welcome owners of purebred dogs into our dog clubs, and we can't just be all about conformation. In my area, many of the specialty clubs are now run by pet owners. The Greater Chicago Whippet Club is mostly pet owners who are involved in sponsoring play dates, racing, race practice, and other activities. The Greater Chicago Cavalier King Charles Spaniel Club, with its separate but intertwined Cavalier rescue is very active. 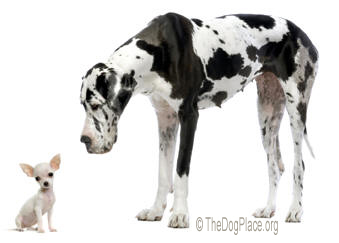 The biggest thing we can do to promote purebred dogs? We have got to get the AKC to change the designation "All American Dog" to "Mixed Breed Dog". I mean, what a slap in the face that is to us purebred dog breeders and owners. We are essentially the backbone of the AKC. The majority of “pure bred” dogs were developed in America! If we are stronger as a fancy, networking with other parent clubs, we can strategize to get real dog people on the AKC board. We need to also work with Field Trial breeders and insist the American Kennel Club quit using our money to prop up puppy mills and events for mixed breed dogs. 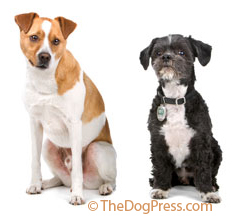 Mixed breeds are fine but they are NOT healthier, smarter, or more fashionable than well-bred purebred dogs. It is nice that AKC provided mongrels with a new name and ways to get involved in “dog shows” but not at the expense of purebred dogs. Honestly assess your lifestyle. Quiet, active, grooming or no? 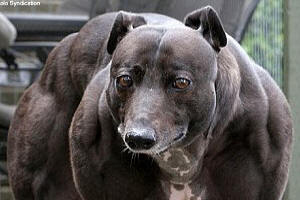 It's what AKC calls an All American Dog but could be the death of Purebreds.